Bats and Butterflies and Sharks, oh my! 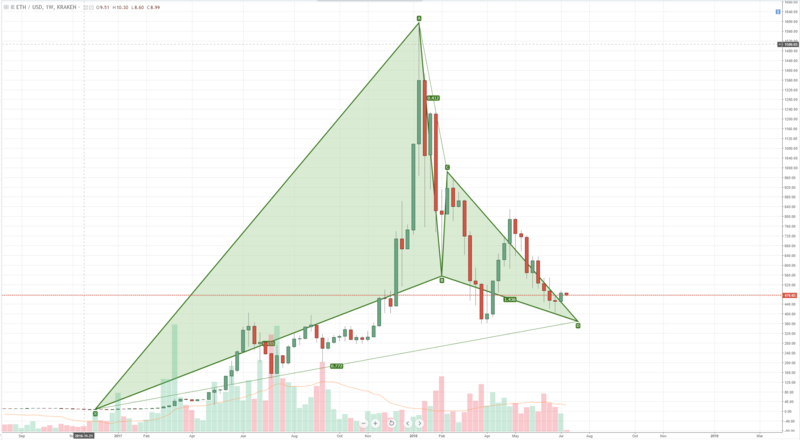 Gartley patterns (Gartley Harmonics) are an often seen, often misunderstood and an often misapplied form of technical analysis. The shapes of the patterns have various names like bat, butterfly, shark, cipher, etc. They are based on Fibonacci ratios and when used in conjunction with other forms of technical analysis, Gartley patterns can be powerful short and long-term forecasting tools to use in your trader’s toolbox. Shockingly, there is a pattern simply called the ‘Gartley’. On the weekly, this chart is showing a low just under the 410 value area before completing. This is a pretty expansive pattern that goes back almost two years, so the length of time that this started should be taken into consideration: the longer the better. 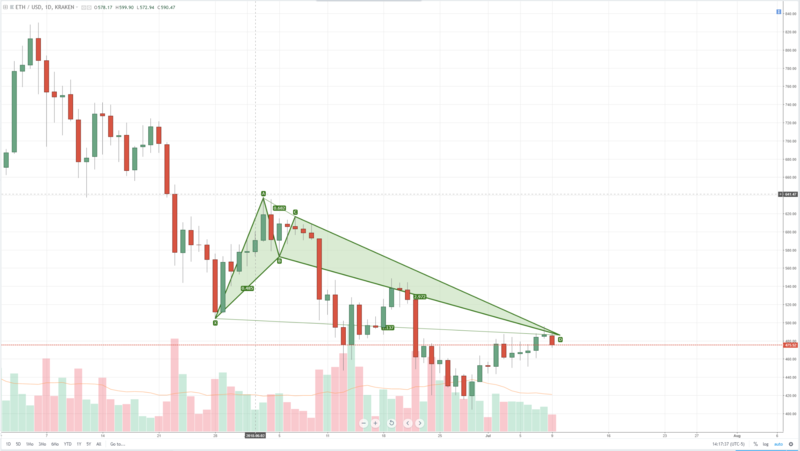 Bullish Shark patterns form during a downtrend and signal a strong probability of a bottom being found near this price zone. For Ethereum, the D wave of this pattern is between 535.94 and 484.27, those are price levels we need to be at or below before the pattern is complete.